One of the best side-scrolling beat-'em-ups of the last decade is back, but not with a bang. Dragon's Crown Pro offers a welcome return to the beautifully drawn fantasy world of Hydeland, but those who have already sunk hours upon hours into Vanillaware's brilliantly old school romp -- either on PlayStation 3 or PS Vita -- may find that the magic isn't quite so strong. And that's because Pro doesn't really bring anything new to the table. Aside from an increased resolution -- including an unbelievably crisp 4K for PS4 Pro users who own a compatible display -- and a re-recorded, fully orchestral soundtrack, this is the same dungeon crawling hack and slasher from 2013. It even has the same Trophy list, and supports cross-play and cross-save with the original. It's fortunate, then, that the game itself is still a slice of 2D brilliance. For those out of the loop, a brief explanation is in order. 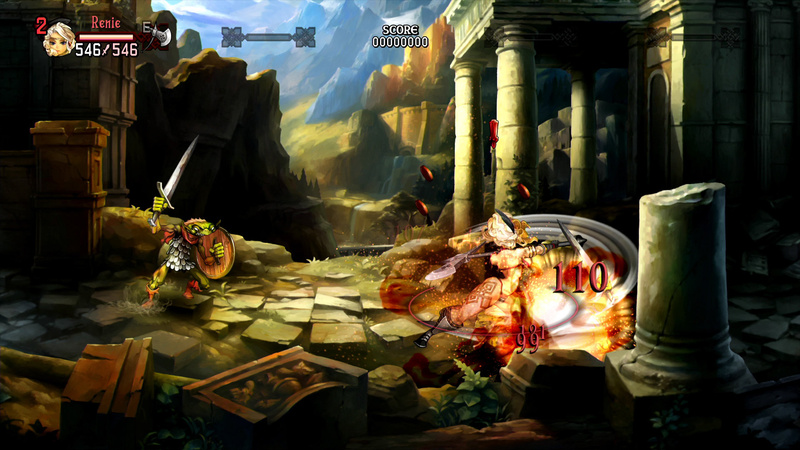 Dragon's Crown sees you embark on a quest of rather epic proportions, and hinges heavily on quick stints of adventure. From the hub town surrounding Hydeland Castle, you wander off into the unknown to slay monsters, complete missions, gather all-important talismans, and, perhaps most importantly, obtain piles of powerful loot. 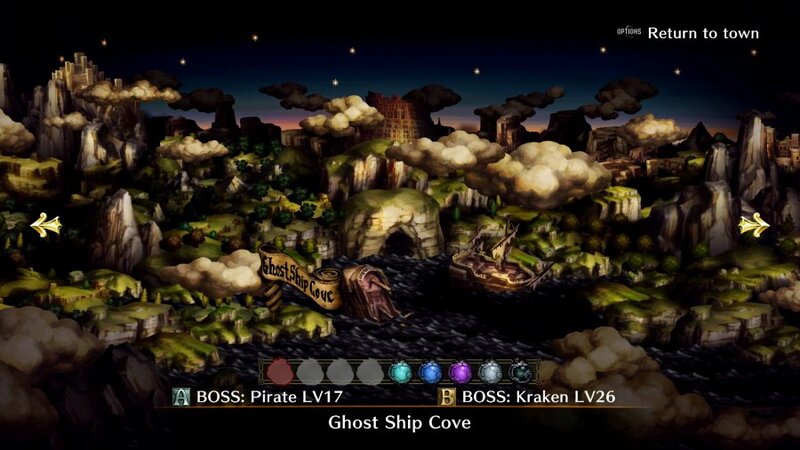 The game features a handful of different stages, each one taking around 10 to 15 minutes to complete. It's bite-sized adventuring, but that's what makes it so moreish. You jump from one environment to the next, mowing down beasts and felling big bad bosses, all while hoovering up treasure and occasionally discovering strange secrets. 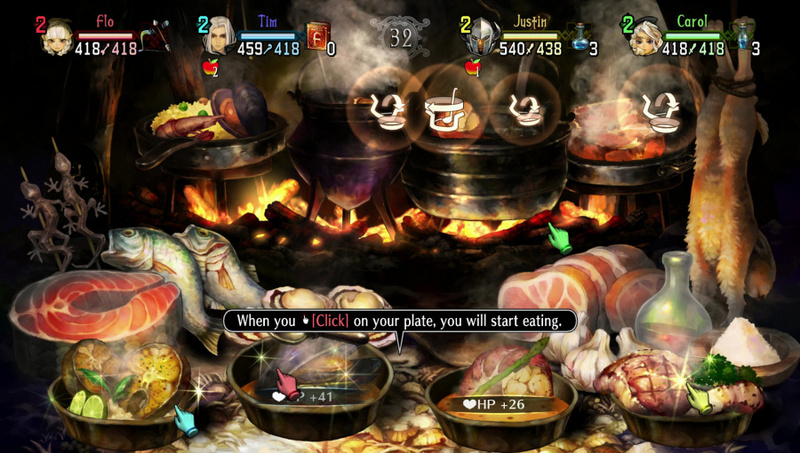 There's certainly an element of repetition to Dragon's Crown that may grate on some players, but it's the title's slick combat and addictive role-playing systems that keep you coming back again and again. Each successful dungeon delve rewards you with experience and bagfuls of loot, leading to a constant sense of progression. Every time you level up, you can acquire new abilities or passive skills, improving your character in noticeable ways. It's a hugely satisfying gameplay loop. When it comes to combat, the game offers up a handful of different ways to play, depending on which character you've chosen. The relatively standard but still fearsome Fighter wields a sword and shield, and is easy to get to grips with thanks to fast attacks and his ability to block incoming blows. Meanwhile, the Sorceress is largely built around support, with her spells aiding the party in various ways. On top of those archetypes, you've got the tricky Elf, the burly Dwarf, the devastating Wizard, and the brutal Amazon. Some characters are definitely easier to use than others, but regardless of who you choose, it always feels great to steadily master your fighting style. Our only real gripe with Dragon's Crown sadly carries over into Dragon's Crown Pro, but we don't suppose there's much that can be done about it. When you're teamed up with three other players (either online or locally) or computer controlled allies, the screen can become so busy that making out what's happening is near impossible. There are settings to make overall visibility a little better, but you'll still lose yourself in the mayhem from time to time. That said, this is an issue that becomes less prevalent the more that you play. Once you've got a feel for character movement as well as things like evasive jumps and specific combos, it's especially hard to tear yourself away from Dragon's Crown. Vanillaware's crafted such a cohesive whole that it's nothing short of a joy to experience. From the astounding art and masterful music to the rousing narration and whimsical storytelling, it remains a special game. If anyone's got any questions just let me know. Now it’s my chance to finally play this game, thanks for the review, head! Dang. I was hoping this would be £29.99 or thereabouts. Another one on the ever growing "wait for the price drop" list. I really don't like paying full price for resprays no matter how great they are. @ShogunRok which character is your favorite to use? @shonenjump86 I'm super boring so I like using the Fighter, but the other classes are all a lot of fun, too. Like the review says, some are easier to use than others, but that's part of learning the game. Looks like Little Witch Academia Chamber of Time is in trouble now. Completely agree on the part about losing yourself in the clutter on screen. I love to play as the elf. She moves so fast I sometimes find her on the one side of the screen when I was looking for her on the other. Great game though. Looking forward to getting the updated version. I was never expecting the pro version to do much more than the original. The game was already so good at doing what it does. Excited to play this eventually. Probably won't get it at launch but seems like a perfect game to pick up during the summer lull! I've still got this on my Vita and it looks just as lush. @KubaHubaBuba Depends on your preference — they're the same game minus resolution and soundtrack. Can't go wrong with either. @KubaHubaBuba If you have a 4K TV then I would get this version. If, like me, your setup is all 1080p screens, there are few reasons to make you spend more for what, practically, is the same game. OK, maybe if you can't stand the DS3 controller - that could count as a valid enough reason to go for a PS4 version. @RegularGameFan Did you play Odin Sphere? One of the best stories in a game. I've got this for both PS3 and PSVITA. Still pre-ordered it on PS4. Such a great game. @NinjaWaddleDee Did you know its based on the Norse classic The Ring Cycle? I have the vita version, I want to buy this but the price is too high, it's day one for me if the price is $40, at $50 I want a new levels or at least a new character. I think I gonna wait for a discount since I plan to buy the digital version. @RegularGameFan Do you mean it looks better from a gameplay perspective? I can kind of get on board with that. I like Odin Sphere however I have only put it on 3 or 4 times and enjoy it for half an hour, then its all about blotting the same combos over and over. I am only halfway through the rabbit prince section so yes I agree. So many gems for PS4 right now. It's unfair to gamers who are gonna buy'em all lol. Bravo for making the saves compatible between versions! Have a digital copy for the Vita, will likely get a physical copy for the PS4 though I may hold off a bit before buying it (still haven't finished God of War and have Yakuza 6 waiting after that). Happy that saves carry over. For anybody who still hasn't played the game, it's still one I'd highly recommend. An absolute blast to play and it looked great on the Vita, I can only imagine how much the visuals pop on the PS4 Pro and even the peasant PS4. @ShogunRok Would you recommend this over Odin Sphere? @Useyourname That's a tough one. I think it ultimately comes down to what you want from the game. If you want loads of loot and a really enjoyable grind (also good co-op) then Dragon's Crown is the way to go. If you want a really nicely told story and a more traditional experience, go Odin Sphere. 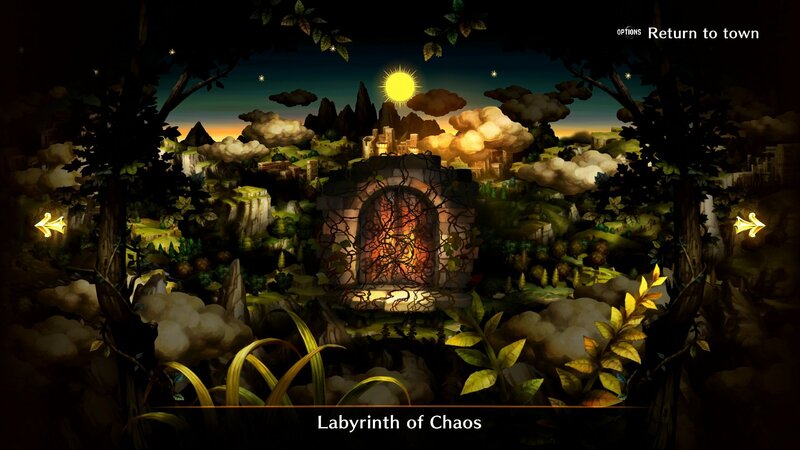 On a totally personal level I enjoy Dragon's Crown more, but I think Odin Sphere is superb, too. Enjoyed this on the VITA but it didn't hook me in the same way as Muramasa which I thought had much more compelling gameplay and story. 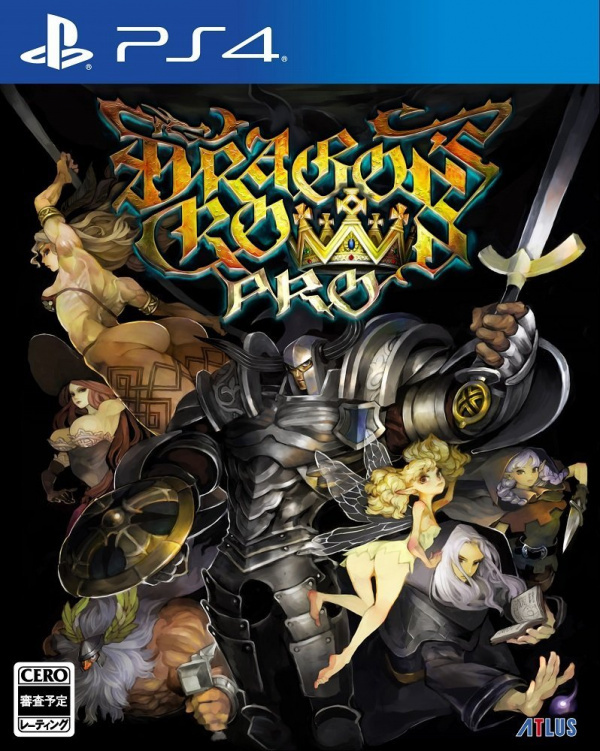 Love this game & definitely buying it again for the PS4, I am surprised it's taken this long for a remaster because Dragon's Crown released right at the end of the PS3 just as the PS4 was releasing. Really enjoyed Dragon's Crown back on the PS3. Don't think I'll be getting this since there's no additional content. Right now, I'm just waiting for Vanillaware's new game 13 Sentinels. Hmm I do like the art style quite a bit, maybe I will wait for a sale since I already have plenty to play at the moment, I do love a good beat em up though. Well it's definitely on my to-buy list, but I just bought 'Witch Academia' and 'Forgotton Anne', and that's pretty much my gaming budget for this month, with Detroit on pre-order (next week yay! ).